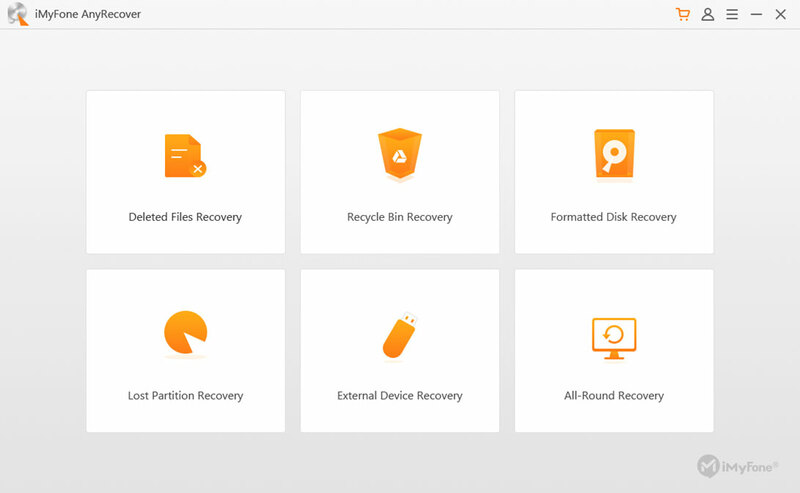 Recover lost document, graphic and more from PC & other storage device. 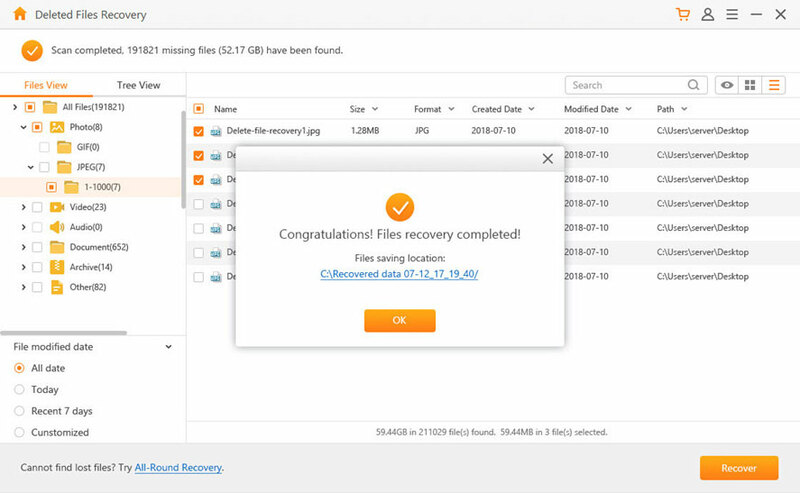 The data recovery software comes as a rescuer in time to help you retrieve lost files from your PC/laptop, hard drive, external disk and more. Make you free from frustration! With the following tutorials, you can regain your important files without any convoluted steps. Download Data Recovery, install and run the program on your computer. 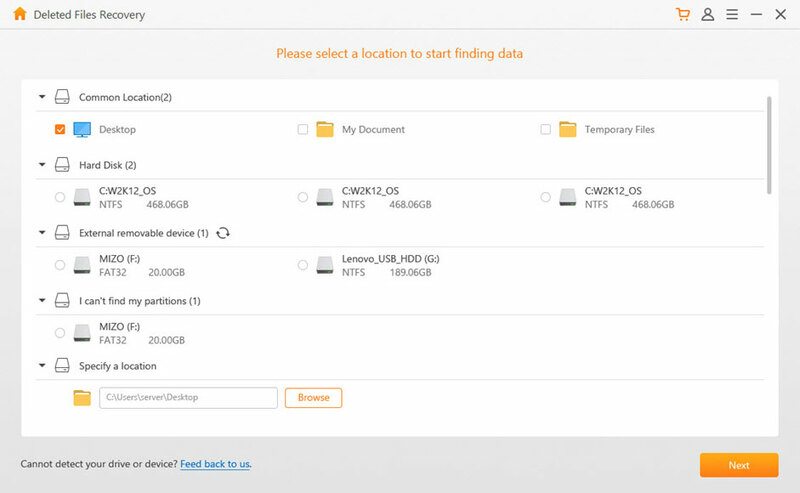 Then, select the lost file types as well as a location like Desktop, Windows Libraries, Hard Disk Drives, Lost Hard Disk Drives to start searching for lost data. Note: Please do not install the program on the disk where you lost your data in case of overwriting your lost files and data. When you select the location, you are allowed to refresh the "Hard Disk Drives" status for a fresh hard disk drive stated. The program will perform Quick Scan to search Recycle Bin for your lost data by default to save your time. It will only take a few minutes. During the scanning process, you can either click Pause or Stop if necessary. 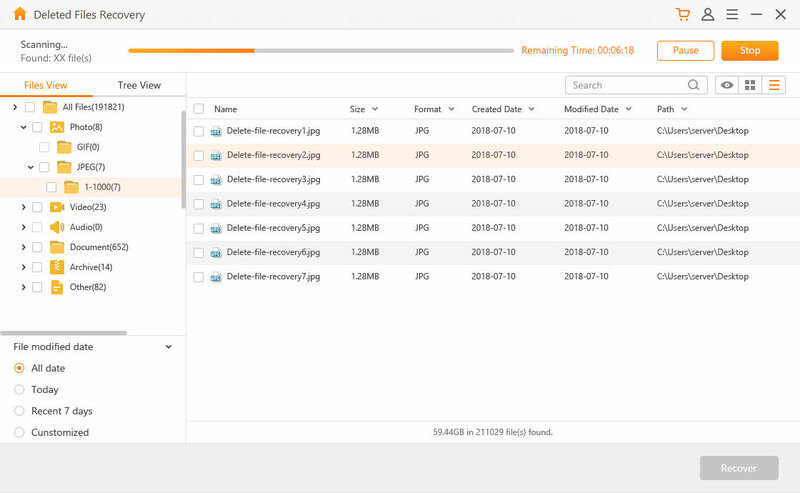 After Quick Scan, if the recoverable files can not be open or you cannot find the lost data you need, please click Deep Scan at the left bottom to scan for more specific and complete data. After scan completed, the results will be presented according to 3 methods:Path, Type, Time. 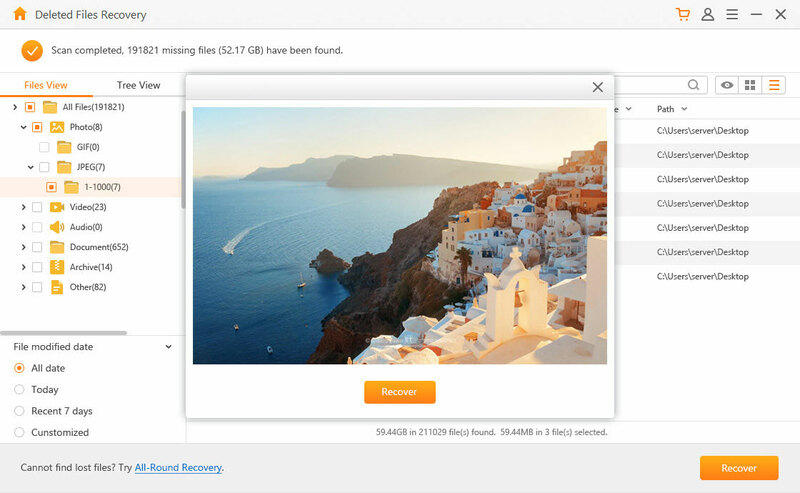 You are allowed to select the files that you need and preview them before recovery to make sure recovering files correctly and avoid any useless files being recovered. Last, click "Recover" at the right bottom. Note: In case you overwrite the lost data, please bear in mind not to store the recovered data into the same drive or device where you got them lost. Last but not the least, you can save all scanned files by click the Export Scan Status. In this case, you don't need to scan these files again while implementing another recovery next time by importing your saved files in this program.